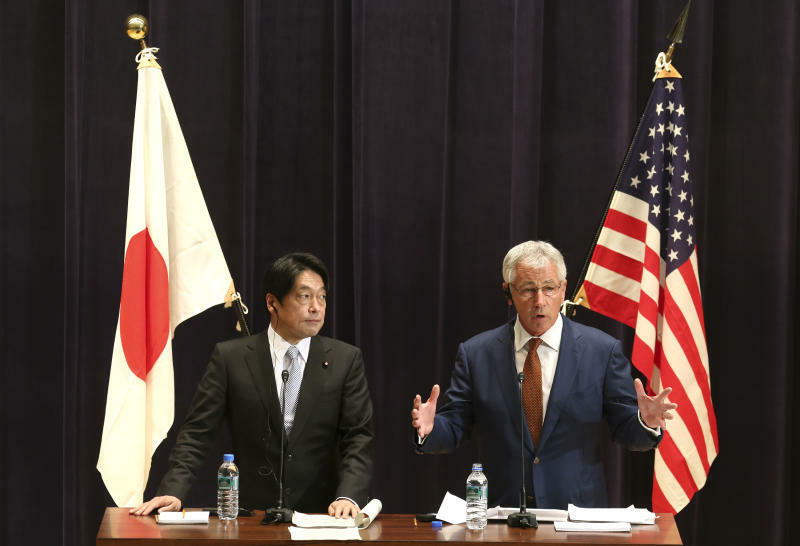 TOKYO (AP) — U.S. Defense Secretary Chuck Hagel delivered a two-pronged warning to Asia Pacific nations Sunday, announcing that the U.S. will send two additional ballistic missile destroyers to Japan to counter the North Korean threat, and saying China must better respect its neighbors. The announcement of the deployments of additional destroyers to Japan came as tensions with North Korea spiked again, with Pyongyang continuing to threaten additional missile and nuclear tests. North and South Korea also fired hundreds of artillery shells into each other's waters in late March in the most recent flare-up. 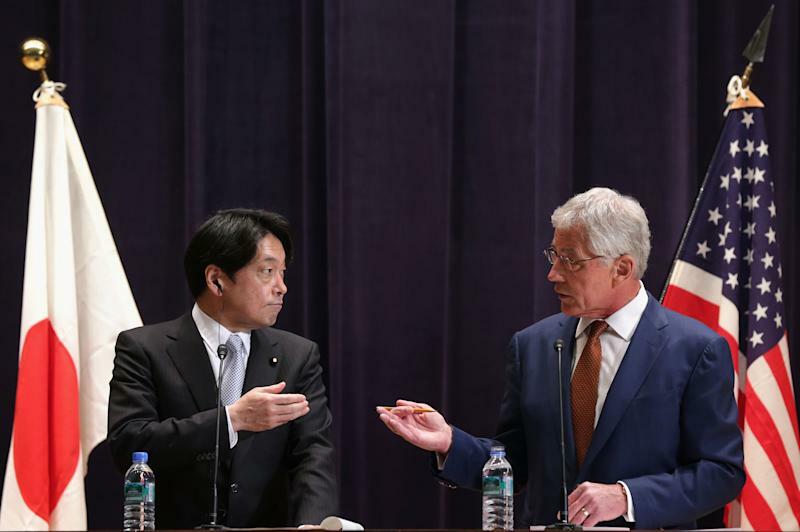 Standing alongside Onodera at the defense ministry, Hagel said they discussed the threat posed by Pyongyang. He said the two ships are in response to North Korea's "pattern of provocative and destabilizing actions" that violate U.N. resolutions and also will provide more protection to the U.S. from those threats. On Friday, North Korea accused the U.S. of being "hell-bent on regime change" and warned that any maneuvers with that intention will be viewed as a "red line" that will result in countermeasures. Pyongyang's deputy U.N. ambassador, Ri Tong Il, also said his government "made it very clear we will carry out a new form of nuclear test" but refused to provide details. The two additional ships would bring the total to seven U.S. ballistic missile defense warships in Japan, and it continues U.S. efforts to increase its focus on the Asia Pacific. The ships serve as both defensive and offensive weapons. They carry sophisticated systems that can track missile launches, and their SM-3 missiles can zero in on and take out short- to medium-range missiles that might be fired at U.S. or allied nations. They can also carry Tomahawk cruise missiles, which can be launched from sea and hit high-value targets or enemy weapons systems from afar, without risking pilots or aircraft. Hagel is on a 10-day trip across the Asia Pacific, and just spent three days in Hawaii meeting with Southeast Asian defense ministers, talking about efforts to improve defense and humanitarian assistance cooperation. Japan is his second stop, where he said he wants to assure Japanese leaders that the U.S. is strongly committed to protecting their country's security. Japan and China have been engaged in a long, bitter dispute over remote islands in the East China Sea. The U.S. has said it takes no side on the question of the disputed islands' sovereignty, but it recognizes Japan's administration of them and has responsibilities to protect Japanese territory under a mutual defense treaty. Onodera said he and Hagel talked about the islands, known as Senkaku by Japan and Diayou by China, and the concerns about any changes to the status quo there. Hagel said the U.S. wants the countries in the region to resolve the disputes peacefully. But he added that the United States would honor its treaty commitments. The ships are just the latest move in America's effort to beef up Japan's defenses. 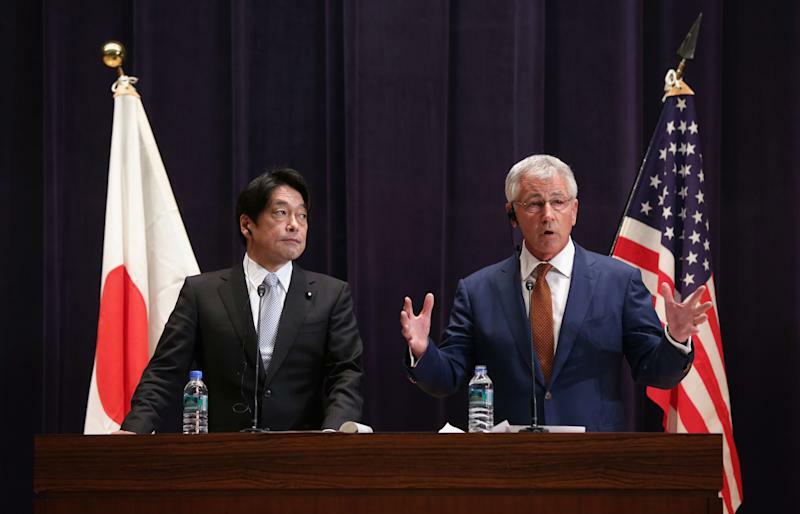 Last October, the U.S. and Japan agreed to broad plans to expand their defense alliance, including the decision to position a second early warning radar there by the end of this year. There is one in northern Japan and the second one would be designed to provide better missile defense coverage in the event of a North Korean attack. The U.S. will begin sending long-range Global Hawk surveillance drones to Japan this month for rotational deployments. They are intended to help step up surveillance around the Senkaku islands.